Please take the time to review this petition which is directed to you. The comments accompanying the signatures are extraordinary in their incisive concerns, and we encourage you to take the time to read them with an open mind. We encourage you to discuss this, if you wish, with the Campaign Lawyer in Washington DC, Brad Deutsch. Perhaps he would join in with your efforts. This disgraceful primary has been investigated and reported on sufficiently. We are asking you to request the order for it to be redone, from Federal Court or from level of state court, whichever you deem to be appropriate by statute. We look forward to your reply. There will be press inquiries soon, now that this petition is being sent to you in this email. We will be leaving it up at Moveon.org, as there will soon be more than 3000 signatures. We are certain that you will recognize this course of legal action is the best way to repair the insults to all democracies that occurred in the primary, and we hope that you will move forward quickly and vigorously in this regard. Many have expressed concerns that you will be reticent to take action, having been at one time named as part of the Clinton "Leadership Team" for New York. We nonetheless trust you to be impartial, as your statutory obligation, and choose not to direct the petition elsewhere, after analyzing their trepidations and warnings. The press advisory that explains the petition and its background to the media was published in full yesterday in California by the Los Angeles Progressive. Especially after reading the incisive comments on the petition, you as New York's Attorney General must gladly recognize the gravity herein, and the polite but firm pressure inherent in the petition. If after consideration you decline to move forward with our request, we must turn to a different venue and different officials to achieve a new New York Primary, so we would appreciate your response soon. Further, for these reasons, we also make an ancillary suggestion, that the certification of New York's "results" be delayed or denied, perhaps by injunction. pusillanimous investigations of whose results we have already seen ample evidence, which may or may not exonerate the wrong doers, etc. Those decisions about criminality are not per se our concern in this petition. disenfranchisements, and paper records of every single vote which allows votes to be able to be corroborated ex post facto. Bringing in hundreds of computer and voting machine forensic experts would be warranted. What difference does it ultimately make as to how long this takes, for New York to get it right? If this New York Primary is not repeated and not done correctly, the Presidential elections will be more deeply flawed at the outset than any in our nation's history. The alternative is to sweep this egregious disgrace under the rug and, by doing so, eternally corrupt what is best about our democracy by ignoring this and all future "petitions for a redress of grievances." I ask you in conclusion to consider this question: why do you think the framers of the Constitution in 1791 made this protection for "petitions for a redress of grievances" the last sentence in the First Amendment? Thank you, and we hope to work with you further on this vital solution. In addition to convincing Eric Schneiderman, much of the decision to move forward with asking for a new New York Primary will derive from Lourdes Rosado, the Director of his Civil Rights Bureau. One article on her here. 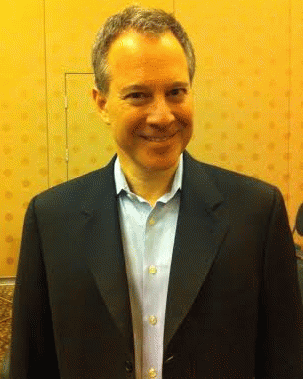 Some reassuring facts about Eric Schneiderman, from Wikipedia: After 10 years in the New York Senate representing the 31st District in the New York State Senate. This comprises Manhattan's Upper West Side, as well as Morningside Heights, West Harlem, Washington Heights, Inwood, and Marble Hill, in addition to part of Riverdale, The Bronx. In his first weeks in office, Attorney General Schneiderman launched a plan to root out fraud and return money illegally stolen from New York taxpayers at no additional cost to the state. This initiative includes a new "Taxpayer Protection Unit" specifically designed to go after corruption in state contracts, pension fund rip-offs, and large-scale tax cheats. Schneiderman has also bolstered the Attorney General's Medicaid Fraud Control Unit by cracking down on fraud in the Medicaid program. 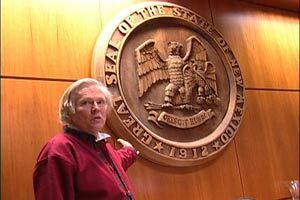 He was also instrumental in pushing for a tougher fraud settlement with large banks over illegal foreclosure practices. Along with California Attorney General Kamala Harris, Schneiderman pushed to prevent the settlement from including immunity for the banks from further investigation and prosecution of other related illegal activities. In August 2013, Schneiderman filed a $40 million civil lawsuit against Donald Trump for his "Trump University", now known as Trump Entrepreneur Initiative, alleging it to be an "unlicensed university" and calling it a "bait-and-switch scheme." [ Trump responded publicly calling Schneiderman a "political hack" and claimed that the school has a 98% approval rating among students.In October 2014 a New York judge found Trump personally liable for the institution's violation of state education laws.